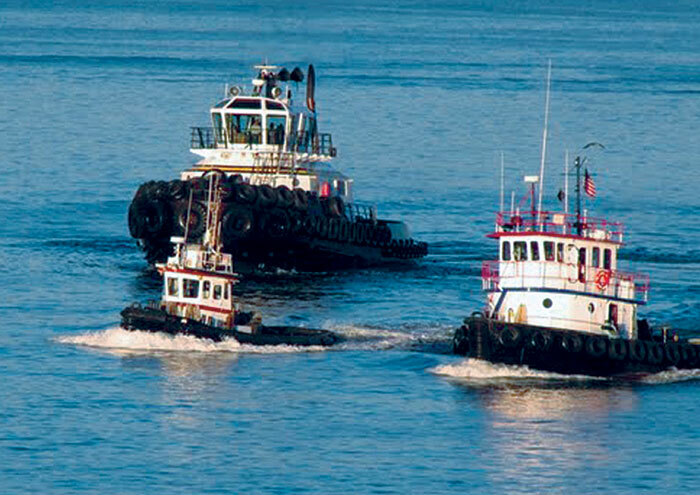 LONG BEACH — Tugboats from the ports of Long Beach and Los Angeles will be displaying their full array of power at the 12th annual Great Tugboat Race, Sept. 20. The event, staged by the International Seafarers Center of Long Beach and Los Angeles, is scheduled to be held off the stern of Queen Mary in Long Beach Harbor, and will include tugboat races starting at 5:30 p.m.
Dinner and a silent auction are also planned for the evening, and the guest of honor will be former Long Beach Harbor Commissioner Mike Walter. Walter is the executive assistant to the president for community relations at California State University, Long Beach, and is the former dean of the College of Business Administration and distinguished professor of economics and business administration. He chairs the California Conference for Equality and Justice, Long Beach’s Human Dignity Program. He also serves on the Board of Governors of Long Beach City College and as vice chair of the St. Mary Medical Center Foundation. Walter is a recipient of numerous federal, state and local honors, awards and commendations. Proceeds from the event will benefit the International Seafarers Center (ISC), which provides services to visiting seamen and women who come to the ports of Los Angeles and Long Beach from around the world. Single tickets to the reception, dinner and tugboat race are $100, and various sponsorships are available for purchase, as well. For more information or to purchase tickets, call (818) 951-2842 or email iscpolb.la@verizon.net.